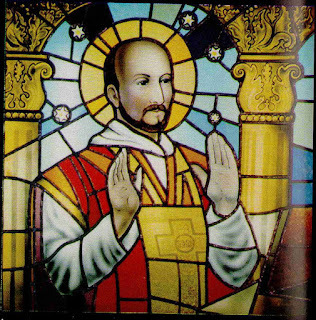 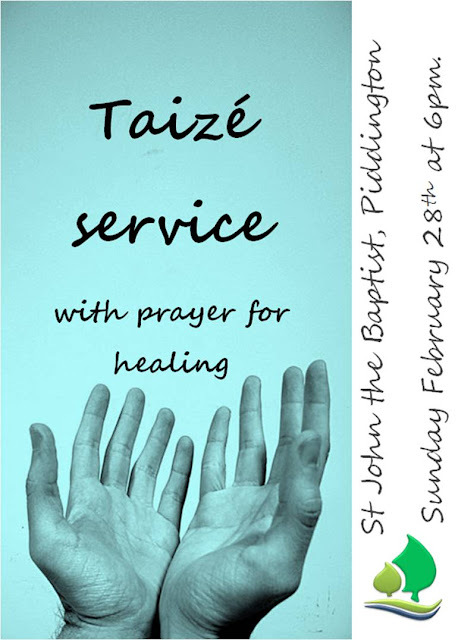 Come to our special Taize service with prayer for healing this coming Sunday, 28th February at St. John the Baptist, Piddington 6pm. 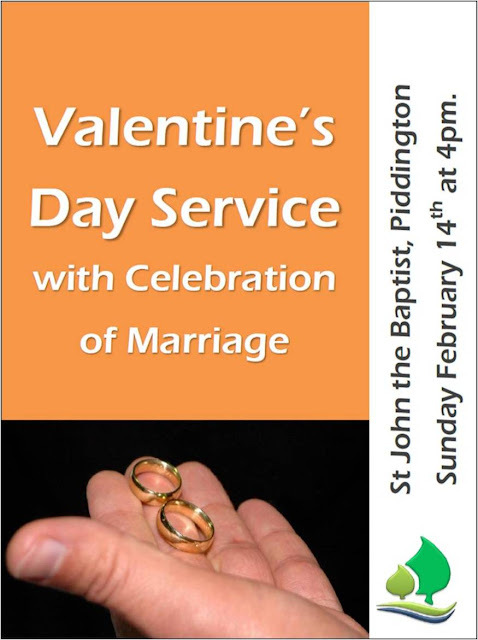 Make Valentine's Day really special this year and come to our Valentine's Day service where you will have a chance to renew your vows or if you are getting married soon have a dry run! 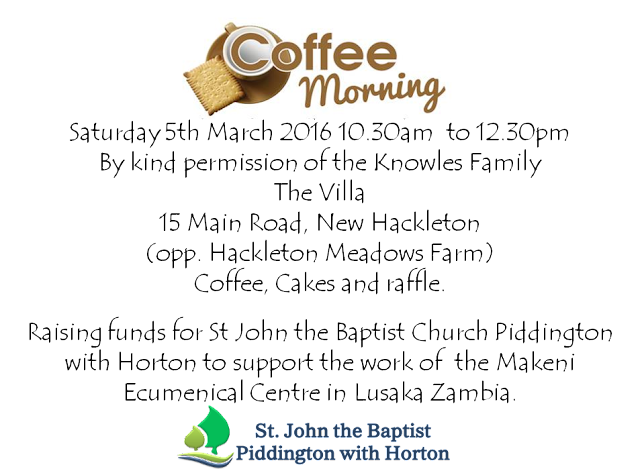 Everyone is welcome. 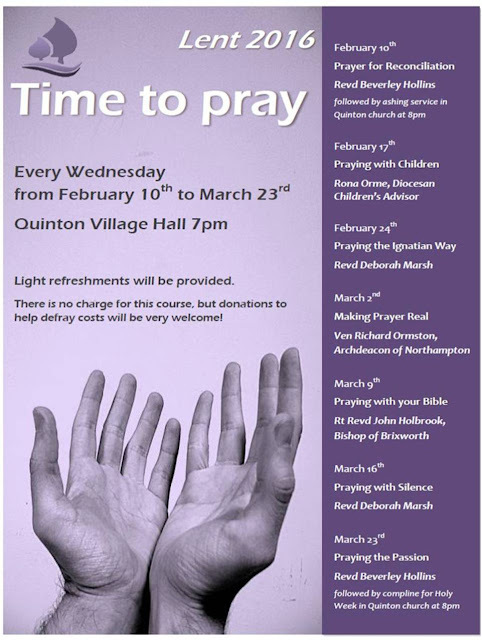 Join us for our Lent Course this year every Wednesday through Lent at Quinton Village Hall 7pm.